Sanjida Kay is the author of three psychological thrillers, Bone by Bone (longlisted for a CWA Steel Dagger Award, nominated as one of the best crime and thriller books of the year by the Guardian and the Sunday Express and named as an Amazon Rising Star), and The Stolen Child. My Mother’s Secret will be out 3 May. All three are published by Corvus Books, and are available as audiobooks via Audible. She lives in Bristol, with her husband and daughter. My Mother’s Secret is the kind of book that you pick up to read a little, and by the time you look up again you’re halfway through! Sanjida Kay has a lovely writing style, in that it flows really well and you don’t notice the time going by as you read. I really enjoyed My Mother’s Secret. The characters were all interesting in their own way, and they are all going through some stuff. And who doesn’t like to read a bit of drama every now and again?! Sanjida Kay has a real knack for writing relationships. Most especially the dynamics between mothers and their children, for better or worse. She just “gets” it. The moods, the communication (or lack thereof), the huffing at each other, it’s all there. I find that this gives a very real, tangible feeling to her writing, because it makes it that bit more relatable. There is quite a lot going on in My Mother’s Secret, not so much that you can’t keep track, but enough to make the reader think. I loved how the stories intermingled, and then went in different directions, and were then brought back around. A really clever look at relationships and how the impact of decisions can affect everything. *Many thanks to Liz Nugent and Penguin for my review copy! I love a bookish baddie. You know the kind. Self-centered, narcissistic, just hateful in general. Well, yet again, Liz Nugent has created a truly terrible fictional human being in Cordelia Russell. Right from the beginning of Skin Deep I found myself disliking her as a character. But. And there is definitely a but. When we are taken through Cordelia’s early life, the reader learns why she is the way she is. No excuse, I know, but it is a very insightful and eye-opening character development that left me wondering how many more layers Liz Nugent could possibly add to her character. Skin Deep is a masterful exploration of character and circumstance. It is graphic, raw and unashamedly honest in its portrayal of the lengths to which someone will go to get what they need from others. Selfishness and greed are front and centre in this book, and as we learn more about Cordelia, it is difficult to not have some very real and often angry feelings towards her. I had been eagerly awaiting this book, and it was most definitely worth the wait. A savage look at the depravity of the human condition, the lengths to which people will go for their own gain, it is a triumph. Today I’m thrilled to be taking part in the blog tour for Alice Blanchard’s A Breath After Drowning and I’ll be sharing my review with you all further down the post! Alice Blanchard won the Katherine Anne Porter Prize for Fiction for her book of short stories, “The Stuntman’s Daughter.” Her first novel, “Darkness Peering,” was a New York Times’ Notable Book and a Barnes & Noble Best Mystery. Her thriller, “The Breathtaker,” was an official selection of the NBC Today Book Club. Alice has received a PEN Award, a New Letters Literary Award, and a Centrum Artists-in-Residence Fellowship. Her books have been published in 16 countries. Her new psychological thriller, “A Breath After Drowning,” will be published by Titan Books in April 2018. 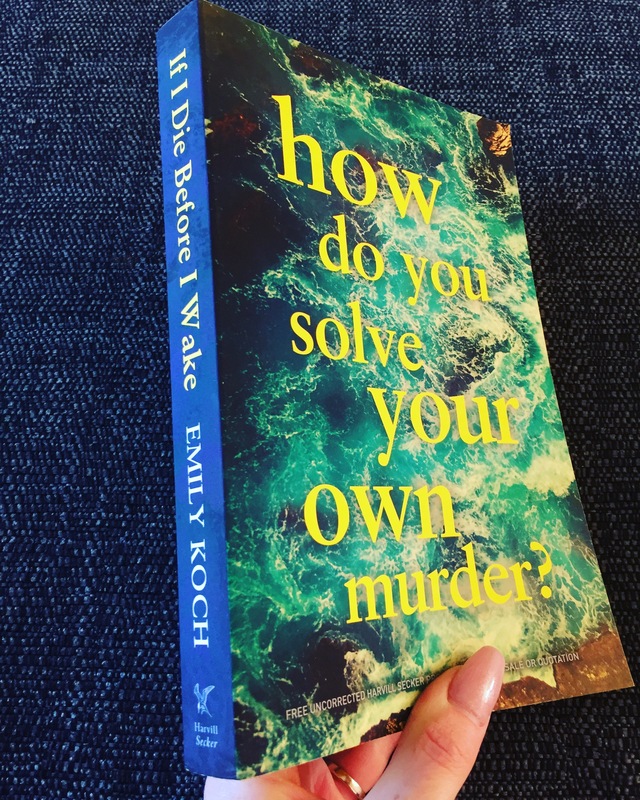 A Breath After Drowning is one of those books that gets its hooks into you quite early on, but you don’t realize it until you try to put it down. I found myself thinking about the story and the characters when I wasn’t reading it, which is always a sign of a good book for me. Character-driven for the first while, the author does a great job of getting the reader invested in Kate’s life and her work. We learn her routine, her issues arising from her sister’s death and how she deals with her job as a psychologist on a daily basis. This all builds a foundation for how dark the book gets. This is a really gripping book, I loved how the author wove past and present events, and how it all played out between the pages. I won’t lie, I had some suspicions along the way, but this in no way detracted from my enjoyment of the book. Guessing something isn’t the same as seeing how creatively the author will bring you towards the ultimate denouement, and Alice Blanchard does this beautifully. Engaging, clever and more than a little dark in places, A Breath After Drowning is a most excellent psychological thriller. Having read and enjoyed All The Missing Girls, I was looking forward to reading The Perfect Stranger, especially as Ellen had reviewed it (HERE) for the blog tour and raved about it. I figured I would give it a go too. Firstly, we have one of my favourite themes here; small town claustrophobia. I am a big fan of this kind of story because it cranks up the tension as you move your way through the story. In The Perfect Stranger, we meet Leah and Emmy, who have both moved to Pennsylvania, both escaping something and in need of a fresh start. When the body of a woman resembling Leah is found dead, and then Emmy disappears, Leah is thrown into the investigation that becomes twisted very quickly. While I flew through this one, I found it a little flatter than what I was expecting. I had suspicions though, so needless to say, that kept me reading to see whether or not they were well-founded! I wasn’t too far wrong! I did enjoy The Perfect Stranger. It was a nice, easy read that ensured I kept turning those pages. Not anything new to the genre, but an intriguing little mystery all the same.